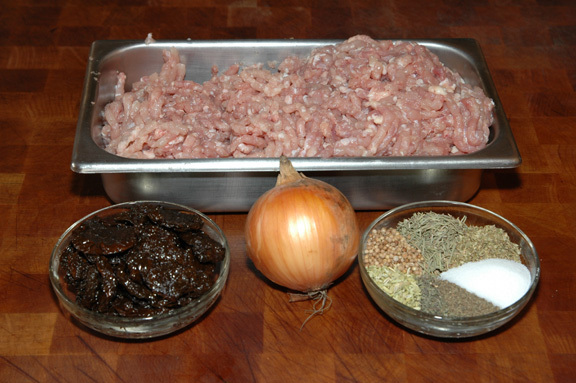 Build An Ark: Chicken and Sun Dried Tomato Sausage! Chicken and Sun Dried Tomato Sausage! 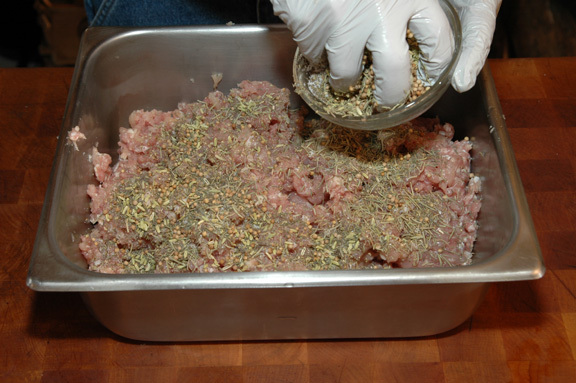 Sausage Making: Chicken & Sun-Dried Tomato Sausage! Ground chicken, re-hydrated tomatoes, onion and spices. 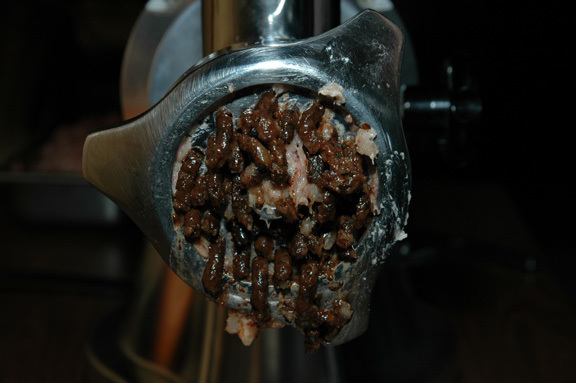 First, run your tomatoes and onions through the grinder. Next, add all the herbs and spices and mix completely. Now add the tomatoes and onion and blend together. 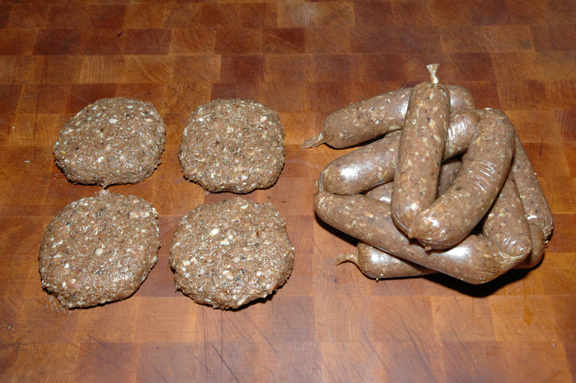 Run it through the grinder and chill for several hours to overnight before stuffing into casings or making patties. topped with walnuts and cranberries. 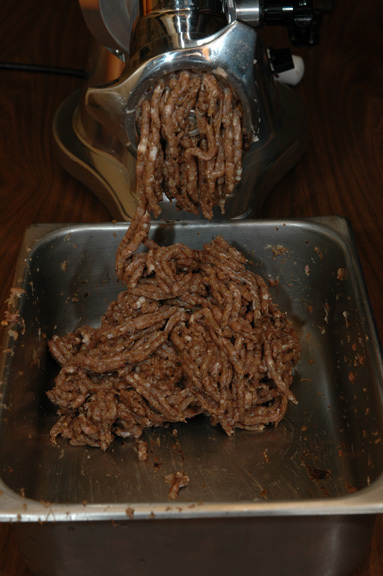 Brown sausage links until nearly cooked through. Set aside. Mix up a batch of biscuit dough. Turn out and roll to ¼. thick. Cut into long, narrow triangles. 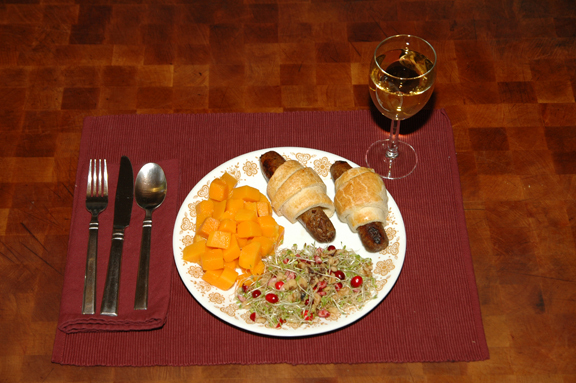 Place sausage at base of triangle and roll up crescent style. Place on ungreased cookie sheet and bake until biscuit is golden brown and done. Serve for breakfast, lunch or dinner!